This entry was posted in All Fried Everything, Wilton and tagged Blooming Onion, food, Fried, Fried Food, Norwalk, Outback, Outback Steakhouse, restaurants, Wilton, Wilton ct. Bookmark the permalink. haha it’s seriously delicious! have you been to outback steakhouse? 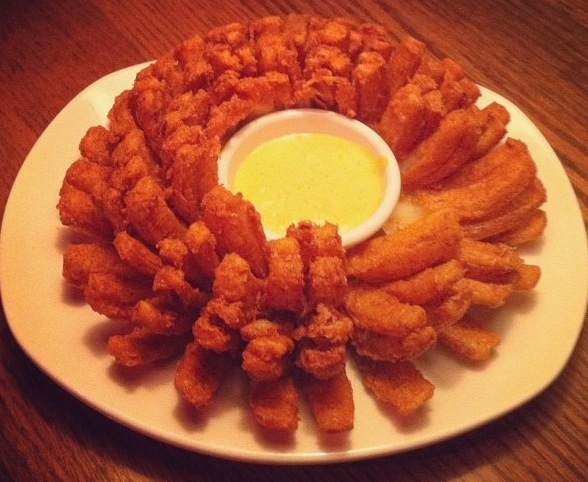 if you have one around you, you have to get this blooming onion immediately! This might be my number one guilty pleasure. If these things weren’t so horrendously terrible for you I’d eat one ever day.